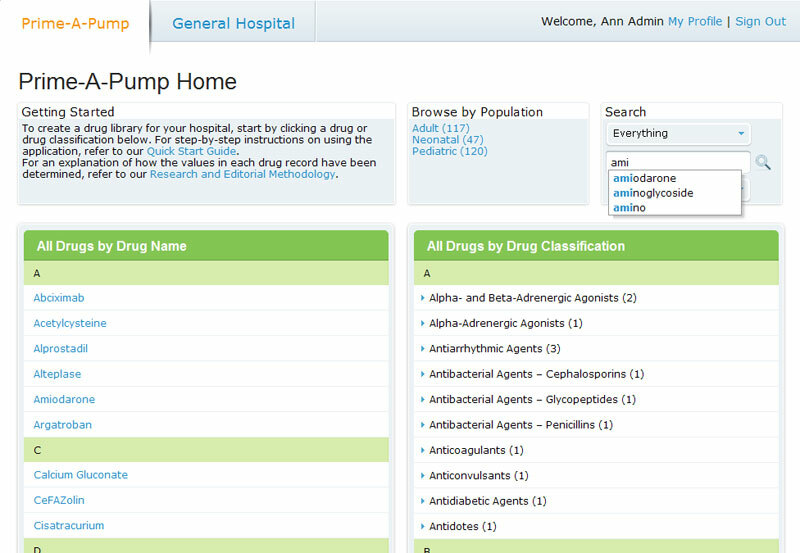 The high-availability Prime-a-Pump application, a software library for hospitals, features separate web, application, full-text search, and database servers. 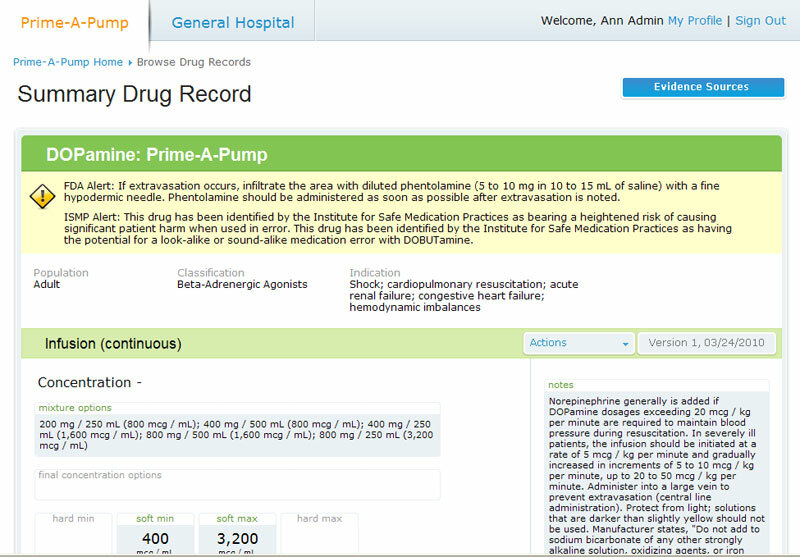 Used to manage drug records for programmable infusion pumps, Prime-a-Pump features Microsoft Excel spreadsheet import capability, drug record versioning, commenting, and voting by participating pharmacists and physicians. At the time of Alloy Code’s engagement, Prime-a-Pump, while mostly functioning, needed new functionality while the client searched for a full-time programming team. 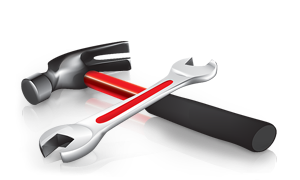 Alloy Code provided weekly iterations and a rapid delivery/deployment cycle. The Prime-a-pump application has been rebranded and is currently being sold by First Databank as FDB InfusionKnowledge.